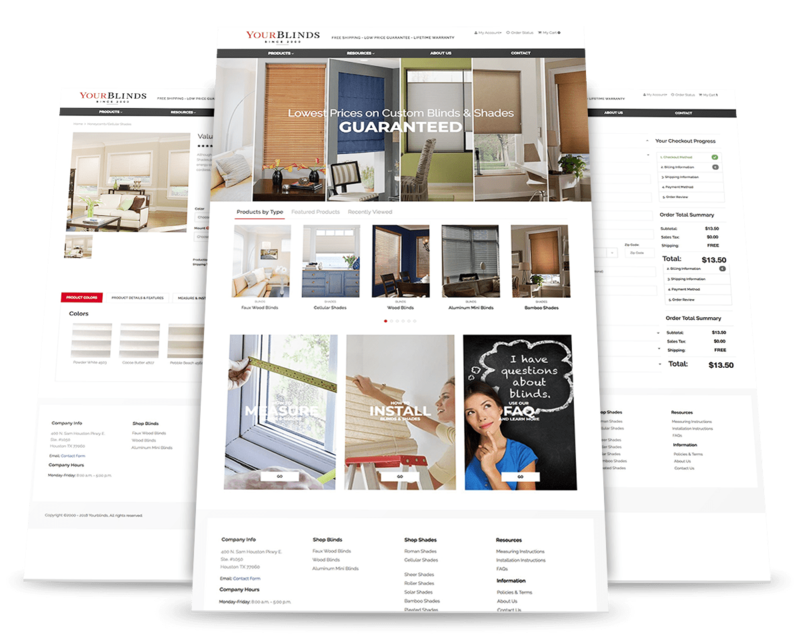 YourBlinds was an acquired IP that was a well known, well ranked online source for blinds and shades but was also long outdated in UI and backend. After a short hiatus the site was brought back and updated all around. A completely new UI / UX was implemented along with Bootstrap giving this site a new bill on life.